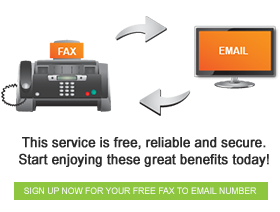 You can conveniently and easily send and receive faxes right from home with FaxFX. The Fax to Email is an inbound service free of charge. You are provided with a free fax number which is linked to your email address. Therefore all your faxes are sent straight to your email inbox which you can view any-time that’s best for you. There are no extra costs involved and you can always keep track of all your faxes without having to leave home.